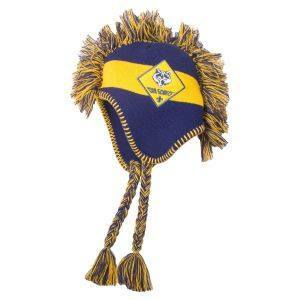 Keep your Cub Scout warm with this girl’s beanie! 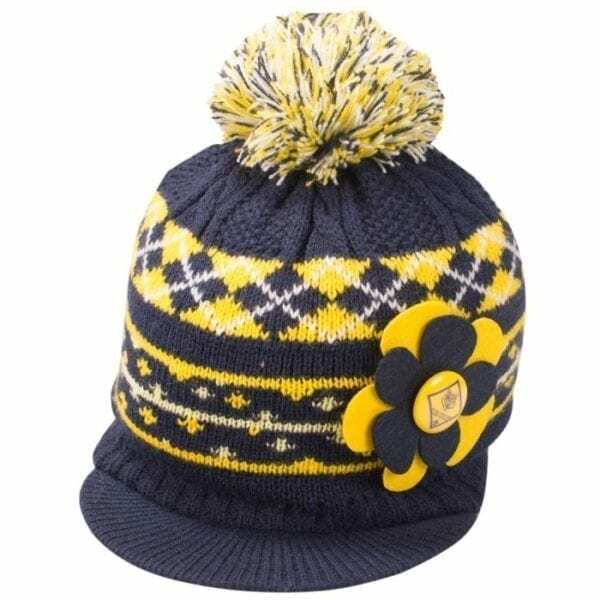 With its fun navy blue and yellow pattern and felt flower, this cap is stylish and cool enough to wear anywhere. It comes in one youth size at 56CM.